Dragon History is available for free from the Dragon History website. 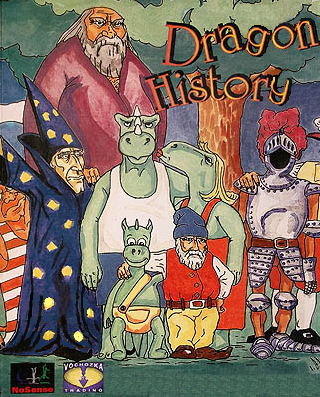 Dragon History was the first Czech game released on CD-ROM when it debuted in 1995. It was created by a group of high school students under the name NoSense. In the game, a dragon named Bert searches for his lost father, and tries to fix the mischief he caused with a magic wand called Eveline. In 2006, the source code was released and the game was released for free, including, for the first time, an English translation. Dragon History is now supported by ScummVM, a program designed to let 2D adventure games run on multiple platforms. With ScummVM, Dragon History now runs on modern versions of windows, as well as Linux, Mac OS X, and many consoles such as Dreamcast, Wii, PlayStation 2, and PlayStation Portable. For a complete list of platforms supported by ScummVM, see here.